Sponsored by Bay Equity Home Loans, this buyer’s seminar is the perfect course for you, no matter what stage of the process you’re at! 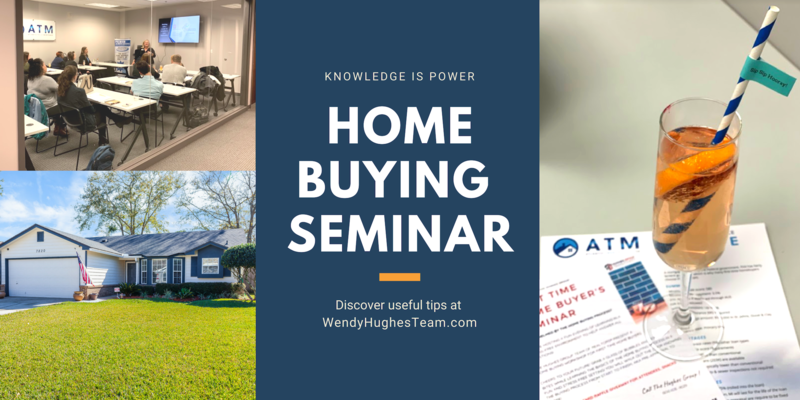 The Hughes Group Jax Team of Realtors® present a Home Buying Workshop for First-Time Home Buyers. Cheers to your future! Grab a glass of Bubbles and some light bites while learning the basics of the home buying process in a fun and stress free setting! You will walk out the door knowing the buying process from start to finish, AKA Pre-Approval to Close! $100 Gift Card Raffle Giveaway for attendees, snacks provided. -How long is this process REALLY going to take? Overwhelmed by the home buying process? We are hosting a fun evening of learning in a stress-free environment to help answer ALL questions!